Who, What, Where, When and Why — the questions that lead us seeking Wikipedia’s wisdom time and time again; after all it is our beloved, co-created public knowledge database. Ever wondered why a Wikipedia entry is usually the first result in a Google search? Or who are the masterminds editing our reality? Or how the concept of an encyclopedia came to be? 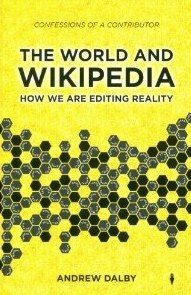 From the eyes of a Wikipedia contributor and Vicipaedia administrator, Andrew Dalby, in his book “The World and Wikipedia: How We Are Editing Reality”, takes you on a journey into the fascinating and intricate world of this very handy circle of knowledge. The read was an insightful, thorough and inner perspective into the massive exponential growth of the world’s most popular knowledge database that we the people read and write, and closely examined why people hate it, why they use it and we love it. Traversing from the history of encyclopedias to today’s Wikipedians, it was a revealing look back for me at how Wikipedia has completely transformed information and made it: available to all, manageable, easily-found, at your finger tips, and always self-improving in real-time. And it is thanks to its participatory culture that Wikipedia has changed our lives by reinventing the way we search and where we go for the latest reports in news, politics and current events. Considering there are more than 10 million articles in 270 languages (which includes 240 active editions) and millions of articles multiplying daily, that mission set by Jimmy Wales is not very far from being accomplished today. Just remembering where we were ten years ago before Wikipedia came to be and where we are today with the amount of instant information available you would imagine that only a miracle could produce this. But alas, it is the people of the world coming together in real-time and collaborating online for the greater good of free information. It’s quite the social experiment. But community-enabled donated content doesn’t come without its problems. As much as Wikipedia strives to have verifiable, neutral, and no original research articles, things always have to get political. Luckily, for the reader, the author provides a well-balanced argument from both sides of the spectrum of the major concerns and missing bits raised about Wikipedia and the way it works. These include: accountability, reliability, vandalism, authority, accuracy, scrupulousness and scholarly credentials. 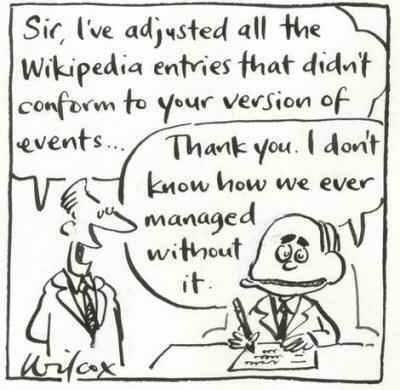 There are clearly issues in Wikipedia: incorrect biographies, controversial pages, questionable resources used by anonymous users and heated topics on administrator rights are aplenty. And of course there are many more reasons why we don’t trust Wikipedia but why we continue to use it; for where else is the obscure, pop-cultural and obsessive information people are writing about? But there are just as many reasons why we should trust Wikipedia and why we need it in our lives — for despite its challenges, Wikipedia has been a rare and successful experiment of Earth’s community mobilizing for the sake of open knowledge. As Nicholas Carr said, “Despite its flaws, the amateur-written encylcopedia has beomce the world’s all-purpose information source. It’s our new Delphic oracle. The net is being carved up into information plantations”. All in all, this is a great read for someone interested in all the intricacies of what makes Wikipedia tick everyday. And remember, in the end you can contribute and choose to edit reality too. 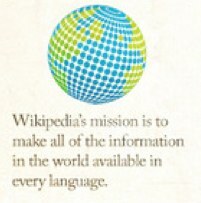 For some interesting facts on Wikipedia I turn you to this infographic.